An investigation has found in favour of Senator Colin Kenny in three complaints of sexual harassment, workplace harassment and abuse of authority, according to a confidential report obtained by CBC News. 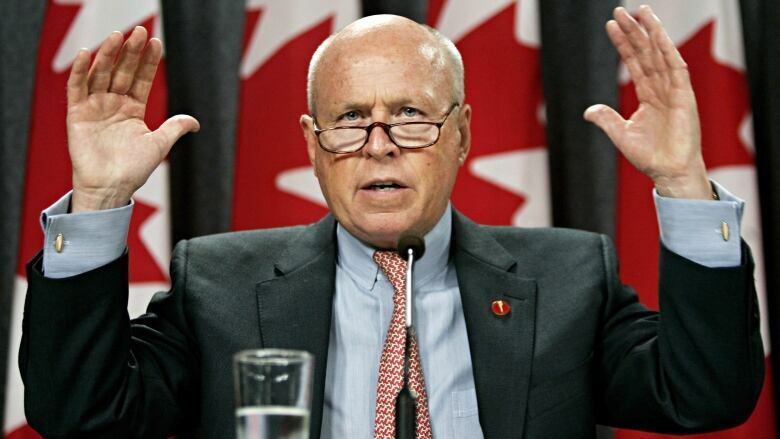 A Senate investigation has found in favour of Senator Colin Kenny in three complaints of sexual harassment, workplace harassment and abuse of authority, according to a confidential report obtained by CBC News. For each complaint, the investigator's report, listing each allegation as 1, 2 and 3, concludes "harassment has not occurred." The complaints were made by Kenny's former assistant Pascale Brisson, who alleged Kenny made her conduct personal tasks on his behalf, spoke abusively to her at work and sexually harassed her with remarks about her appearance and an invitation to his condo. The administrative investigation, conducted for the Senate by an independent harassment investigator, is one in which the burden of proof is on the person who makes the complaint. In all three cases, the investigation found, on the balance of probabilities, that the presumption of innocence favours Kenny. Brisson worked for Kenny during the summer of 2013 while she was also a part-time student at the University of Ottawa. Brisson told CBC News she quit because Kenny was sexually harassing her, treating her rudely and abusing his authority as a senator by having her conduct duties outside her parliamentary job. The result, she complained, was that her health and financial well-being were affected, because she had to leave her job and lose her source of income. As well, she said, she failed to complete some university courses she was taking as a part-time student because of stress. Brisson filed a complaint about Kenny in October 2013, shortly after she left his employment. She told the Senate she spent 50 per cent of her time conducting personal tasks for Kenny, including paying his cable bill, ordering clothes for him online, organizing repairs at his Ottawa condo and managing his appointments with his physician and personal trainer. Brisson told Radio-Canada's Brigitte Bureau, "I would pay personal bills almost every other day, so hydro, Rogers, ATD, the water bills and the condo fees for the senator. So I would access his online banking and pay his personal bills." Kenny told Bureau in a phone interview that Brisson, "made appointments for me, but these were all very short things that certainly didn't take up half of her time." The investigation — conducted by Deborah Jelly, an employee of Glencastle Security — interviewed, Brisson, Kenny, two of Kenny's employees, Kenny's self-described common-law partner and another senator for whom Brisson had also worked. Jelly did not talk to Brisson's parents, friends or doctor, all of whom Brisson claims she spoke to about her experience with Kenny at the time the events allegedly happened. Veronica Carozzi, who has been Kenny's assistant for 14 years, denied she'd told Brisson that Kenny had also sexually harassed her. She told the investigator Kenny had never commented on her appearance nor had she referred to him as an "old perv" as Brisson alleged. Carozzi did say she pays bills for the senator, transfers money to his children, books his trainer, schedules his medical appointments and manages his personal files. But, she said, Kenny's personal needs take only 75 minutes a week, or two per cent of her time, and having full control of his schedule makes her job easier. Jelly wrote in her report that Kenny's expectation that his staff carry out personal tasks for him might be a violation of Senate administrative rules, but this determination was not in the scope of her investigation. Kenny, in a note sent to CBC News from inside the Senate chamber, said, "I have nothing to say. There is a process under way I must respect." Conservative Senator Tom McInnis, who had hired Brisson to work for him in 2012, told the investigator he had fired her because he suspected she was absent from his Senate office when he spent time in Nova Scotia. He said he was surprised that Senate human resources had subsequently recommended Brisson to Kenny. In an interview in the Senate foyer on Tuesday, he said he was "astonished, to be honest" that she had been hired again. Brisson told the investigator she had no idea why McInnis fired her, and said Senate human resources had told her McInnis wanted his wife to be his assistant. She claimed that McInnis's wife continued performing administrative tasks in his Ottawa office. McInnis, who at the time had just been appointed to the Senate, told Jelly his wife had helped him set up his Senate office in the capital. Kenny, appointed to the Senate by former Prime Minister Pierre Trudeau, has been sitting as an Independent during the investigation. During that time, Liberal Leader Justin Trudeau severed Liberal senators from the Liberal caucus. Senator Jim Cowan, the opposition leader of what is now called the the Liberal Senate caucus, said he'll "wait and see" if Kenny can be part of that group. Nine other women have come forward, or come to the attention of CBC News, since Brisson's story aired on in October 2013. Two were employed by a tanning salon owned by Kenny. Two others were employed by NATO. In 2001, Kenny was active in the NATO Parliamentary Assembly, a working group of politicians from NATO countries. CBC News obtained a letter written to then Liberal MP Carolyn Parrish from Simon Lunn, the secretary general to the NATO Parliamentary Assembly, in which Lunn alleges Kenny made frequent phone calls to a female intern and female staff member. With their identities concealed, five other women told CBC stories of alleged harassment, sexual and otherwise, by Kenny. The investigation is the final report into Brisson's complaints. Both she and Kenny have five days to respond, and any further action will then be decided by the Senate whips, Senator Jim Munson, for the opposition, and Conservative Senator Elizabeth Marshall.